Do you feel tired due to hard work ? Many of us feel mentally and physical exhausted by the time we reach home. The only thought comes through our mind at that point. Urgghhhh!!! I need a break. Yes! you need a break but we neglected our largest organ in the body which is our skin. Our skin too are having a hard time with all the makeup we are wearing all day long . Let your skin breathe, if you are looking out to make your skin better. I don't suggest to ditch makeup! But you can wear it less and help your skin by doing some rejuvenating and pampering moment to heal up. I received an opportunity to experiment days exhausted skin recovering with Anesis Madeca Series by Rappol recently. I was skeptical by this products when it first reach me. I never heard about this brand before. Is this safe? This skin care is from Korea. 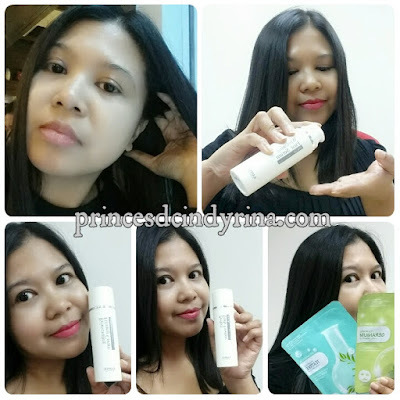 So WHAT ?Well...to me not all skin care of product from Korea are good or world class. I feel that product made in Korea and Japan are totally over sell. Lets not talk about this. Back to the Anesis Madeca Series which reached me in 3 sets of skin care.When I open the bottle the orange scents hit my nose. I tried one drop to my skin and feel the acidity kind of stung my skin. I was so afraid!Am I guinea pig to experiment skin care? That was my instant thought. Almost 'chicken out' to try out . Shall I return back to PR ? It took me about 3 days to really try out on my face. isk isk isk... Despite with all those skeptical thinking, I dare myself to try this skin care series after some research and so on. Anesis Madeca Series , Rappol brought by Nature Medic who practice safe cosmetics for slightly dry and aging skin. The founder is a researcher parent who experience heart ache to see their children suffer sensitive and irritation skin. They expand from making safe products for all families including babies to healing cosmetics. Their effort through out the years by carefully use safe ingredients and carefully listening to their customers stories. I feel safe to use Anesis. 3 Anesis Madeca Series reached to my door step. Cultivated by clean Jeju air Anesis Madeca series is a sensitive care cosmeceutical line optimized to recover exhausted skin with 4 ingredients. Anesis Madeca Series by Rappol completed skin irritation test and skin moisturizing test. I am confident to apply this onto my skin. 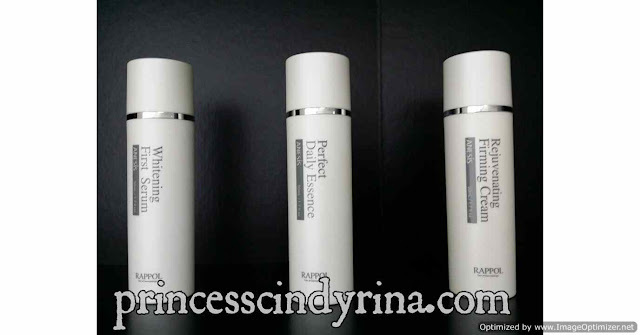 Dual functional cosmetics which is whitening and wrinkle improvement. Ceramide NP, asiaticoside, madecasic acid and asiatic acid contents to assist in strengthening skin wall and protects skin from outside irritation. Vegetable squalan to fills skin moisture and nutrition. My review after 7 consecutive nightly trying out Anesis Madeca Series for my night beauty regime. I apply serum right after facial cleansing routine. Yup! skip that toner part routine. I just pour around 20 sen coin of this to my finger tip and it drip right to the bottom and fall to my thigh. OMO! very watery in earth brown color liquid. 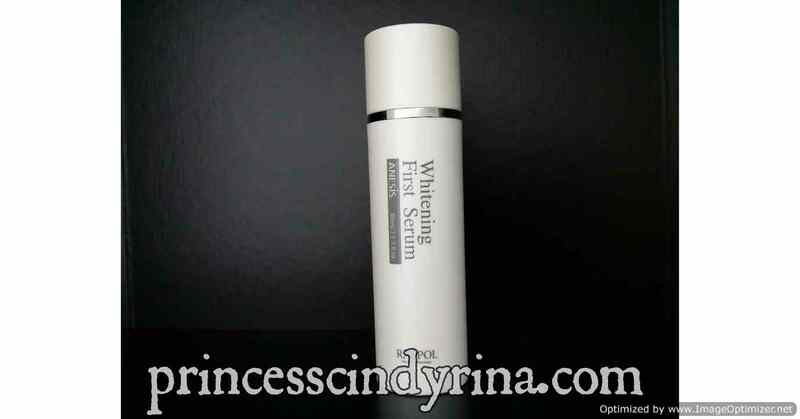 It smells refreshing.That is my first impression of Anesis Whitening First Serum. It contains oil and moisture balance to makes weak skin firmer. 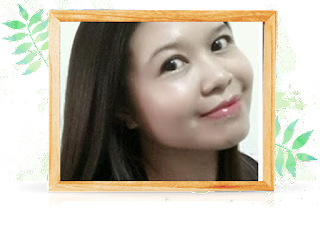 Second application I am more confident and feel comfortable because it really make my skin feel and look healthy. First application sting sensation is due to the ingredients and my skin condition. The sting last just a second.I can assure you nothing unpleasant about that. I didn't feel any sensation at all after Second application. Guess my skin condition is not that good earlier. I use this after the whitening first serum. This is water gel-type and fast absorption into the skin. I love the fact I don't feel any stickiness from this essence. I feel immediate moistful and clean skin with only first use. mmmm...feeling positive vibes about Anesis. Smell ? Well..I don't have problem with this one though and quite loving it. Since Anesis Perfect Daily Essence suppose to make clearer skin tone , I would love to use this in long term to see if it works. I am having dull and uneven skin tone problem. Firming cream after daily essence application works wonder! I feel the absorption really quick into my skin. The texture is white cream and non sticky. The ingredients does it works. I feel my skin brighter and firmer the next morning. The very first morning after first application the night before. WTH! Its not because the item came to me free that I write such a good review. It really does it works. I don't think will let this go. I am totally loving this routine every night. My skin feel firmer and brighten.I really feel the difference! 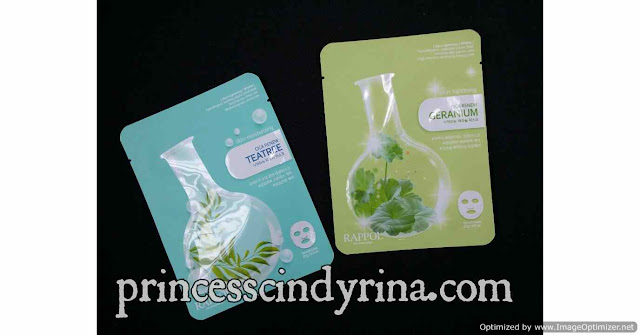 The package came to complete with 2 mask sheet by Nature Medics , Rappol Cica Renew series. I tried this one when I was Staycation in Cameron Highlands. The mask sheet is cotton soft. But since its cream mask, I kind of really hate it. Heavily creamer on the mask sheet and its really creamy! Wet and sticky. But the after effect is really good. My skin feel moisturize and brighten up. I have seen their CICA Renew BB Cream selling somewhere though but can't remember where did I saw that. I would love to try out the CICA Renew BB Cream and Sun Cream by Rappol if I find one during my oversea trip soon. Like I said in my earlier post , I was skeptical about this product at first. They are not well known in Malaysia yet. In fact they are not even available on sale in Malaysia or Singapore. According to PR they will be launching online store only by end of this year. The products presence in Korea are visible and I read about outstanding testimonial for most of their product range and brand. Nature Medics product mainly focus on healing and treatment skin care. I am very positive about this Brand effectiveness in long term application. The downside is just the smells may hinder you from the first try. If you are interested to know more about Nature Medics and Rappol products your can visit their official website which you need to use google translate from Korean to English language. I also find its hard to do the review with lack of information about this product. However I did the review based on my personal experience trying out this product and just write in based on my own view. Nature Medics tag lie is Nature Health and Nature Beauty. Nature Medics mission is to bringing healthy nature closely to people and being honest from attitude. Love this mission. Founded by a parent who have skin problem children. Heartache to see their child in pain due to sensitive skin and irritation, they dedicated their research to find skin care to treat and heal skin problem. Products range is a natural cosmetics focus on sensitive or dry skin. It contain mild ingredients for young children's skin and suits well for people at any age range. BBZZ for adolescents people in their 10s - 20s who have oily or trouble skin. This skin care contains apitoxin and propolis core ingredients originated from bees. Rappol for adults age range 30s - 60s who have slightly dry / aging skin. This skincare safe for pregnant women too. It helps to solve adult customer's skin concerns. making it more youthful and beautiful skin. Rappol Skincare has patented ingredient formula technology (Natural Moisturizing Formula Factor, Phytocera Formula and Phtocalming Complex) and registered in U.S FDA, Europe CPNP, China CFDA. All Nature Medics products has gone through and certified safe / skin irritation tests. I like moisturizers that are wtaer-based for easy absorptions. Glad that these skincare suits you. I am like you too, afraid to try new products especially if it stings. If I get recommendations that products are good, I will be more confident to try. An interesting brand - thanks for sharing your testimony. I also want to look my best, like you always do. The skincare products look good. I will let my family know. Gosh, reading your glowing review, I am tempted to get them myself already. Dry aging skin is what I am suffering from! Gotta check them out, or maybe I should really save some money first. Hai.. Produk ni nampak menarik.. Saya memang mencari produk yang mempunyai tahap kelembapan yg tinggi.. Thanks for sharing.. Will try it soon.. Thanks for sharing. I need to a break with these products too. I would be worried about trying out a product I have not heard of ..haha! Thanks to you, I will now give this product a chance if I see it. This brand new to me. It seem too many Korea products in the market but no harm to try this if the products is good for the skin. i love to try that Tea Tree mask Sheet.. will check it out this brand later.. thanks for this entri.. Thanks for this review. I have not try this brand before but the range looks promising.